one happy little crafter: The one with Tilda in a pinny! 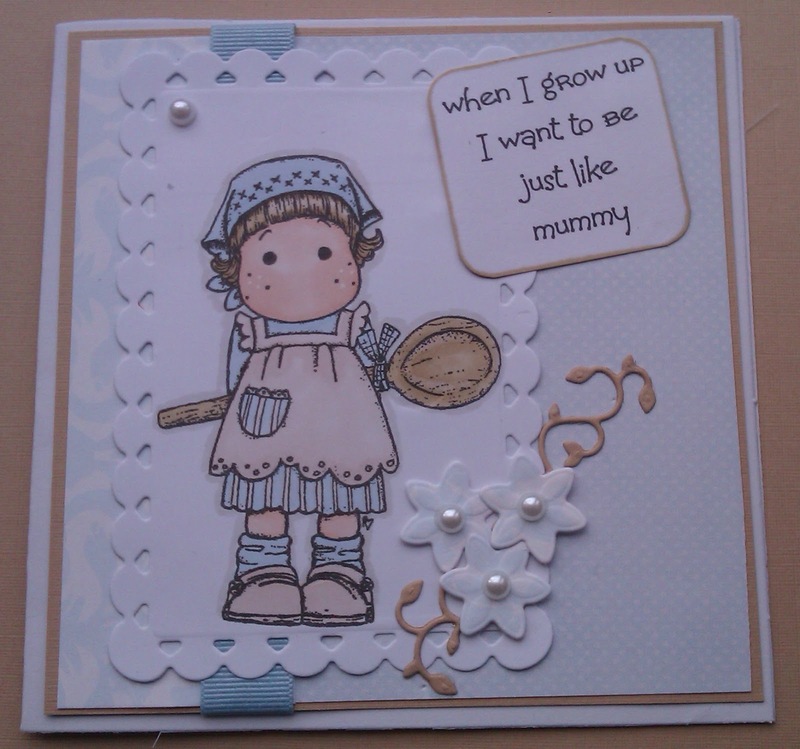 Tilda with her big 'ol spoon is still pretty much my favouite stamp, and is fab to colour. She is on a Nellie Snellen die, the papers are from my stash (cant remember their origins), ribbon also from stash, the flowers are a Joy Craft die, and the Ivy is a Poppy Stamps die, the pearls were bought on the Meiflower stand at Bluewater last week, and finally the sentiment is one of my own creations. Lovely card Lisa. Pretty Tilda and CAS presentation. A delight. This is gorgeous Lisa, I love the image. This is a beauty, my favourite. 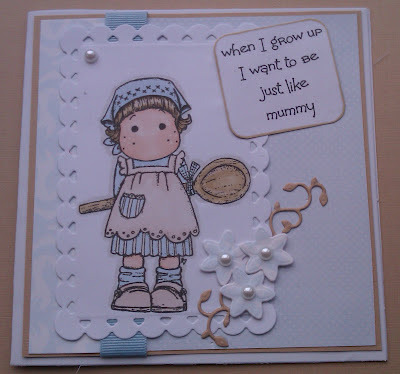 HI Lisa, aww cute image and lovely card. Hope you have an easier week next week! This is so beautiful. So cute creation. I appreciate this. Thanks for sharing. Oh how sweet! Tilda is just adorable! Beautifully coloured, and she looks so good against the pale papers. Thanks for joining in at The Squirrel and the Fox! This is so sweet! I love the sentiment! Thanks for joining us at the Cupcake Craftroom!